Out patients please check in at Patient Registration in the front lobby. Mitchell County Hospital Health Systems Laboratory Department offers a comprehensive menu of clinical laboratory testing performed by a team of highly skilled professionals including six board certified technologists, one technician, and two phlebotomists. 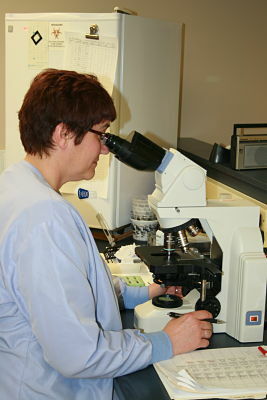 The laboratory is directed by a board certified pathologist and participates in an extensive proficiency testing program as part of the national accreditation process.